Right materials make the best applications. Material selection is a crucial step to get your CNC project right. Think of it as assembling a Subway meal based on your diet plan; you add meats if your diet chart asks for more protein, and greens for a vitamin fulfill. Similarly, selected materials must cover your design prerequisites— hardness, rigidity, thermal stability, and chemical resistance just to name a few. And your budget as well, of course. Material characteristics are especially important when you require high precision CNC machined parts with complex designs. For instance: amorphous materials like metallic glass and polymers generally hold tighter tolerances than, say, aluminum. In the following article, we will elaborate more on material types, their characteristics, tips and guidelines on choosing the right materials, and more. Let’s start with the basic: the material selection process. Step 1. Define your material requirements: Based on your design, make a high-level list of material prerequisites. Do you need a malleability? Or perhaps a sturdier material? Laser polishing for a surface finish? Consider all the mechanical, physical, environmental, and budget factors. Hack: Make sure you approach readily available materials— it’ll help cut costs and efforts. Step 3. Now, select the most appropriate material: The third step is the final showdown: choosing the material with maximum functionality in minimum costs. Or, the materials that check most on your prerequisites list. In the next section, we will talk about the most popular materials and their properties. Most popular of the bunch; used for both mechanical and aspect components. Outside of this wide range of metal materials, it’s also possible to use plastics, wood, and even fiberglass and foams with CNC machining technology. 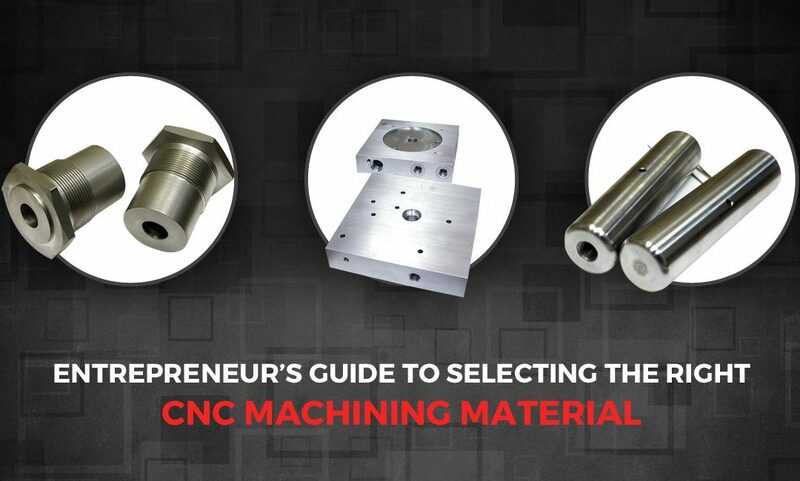 Now that you know about different materials, you can select the ones that best suit your CNC project. We, at Machining Design Associated Ltd., offer exceptional CNC machining parts with desired tolerances. Get in touch to know more!